You are currently viewing Archived reports for the week of 18 May-24 May 2016. INGV reported that intense Strombolian activity began at Etna's Northeast Crater (NEC) during the evening of 17 May. 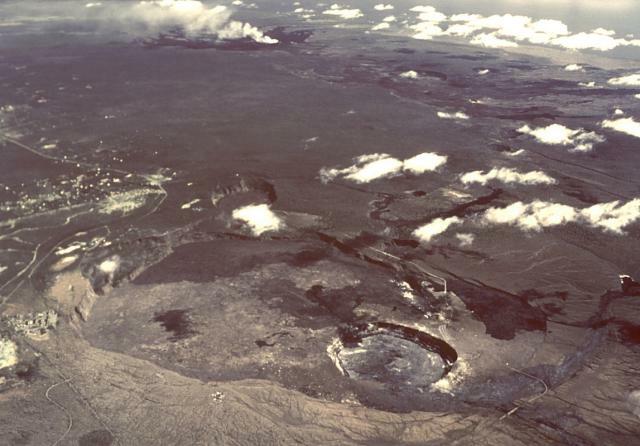 Incandescent bombs were ejected above the crater rim and tephra was deposited on the flanks. During the morning of 18 May this activity was accompanied by ash emissions that drifted E and rapidly dispersed. Weak incandescence from the 25 November 2015 vent, on the upper E flank of the New Southeast Crater (NSEC) was visible, and an inclinometer about 1 km NW of NEC recorded rapid inflation of the summit area. Just after 1250 on 18 May cameras recorded the onset of activity at Voragine (VOR) crater, which within a few minutes evolved into a pulsating lava fountain. At the same time Strombolian activity at NEC diminished and dark ash emissions formed briefly. Ash plumes from VOR rose as high as 3.5 km above the crater and drifted ESE. During the afternoon lava overflowed from the W rim of the Voragine-Bocca Nuova depression, and traveled W within the summit area. A second lava flow, emitted from a vent located at the E base of the Northeast Crater (NEC), expanded into the N portion of the Valle del Bove. The second lava flow remained active until the early morning hours of 19 May. 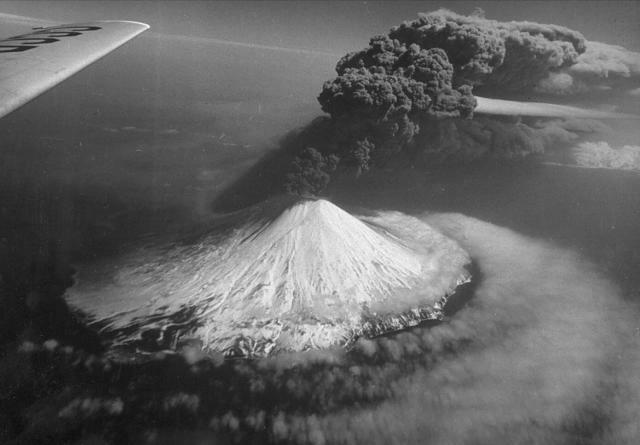 Later that morning, the volcanic tremor amplitude sharply increased, and contemporaneously loud and virtually continuous bangs were heard in populated areas to the E and S of the volcano. 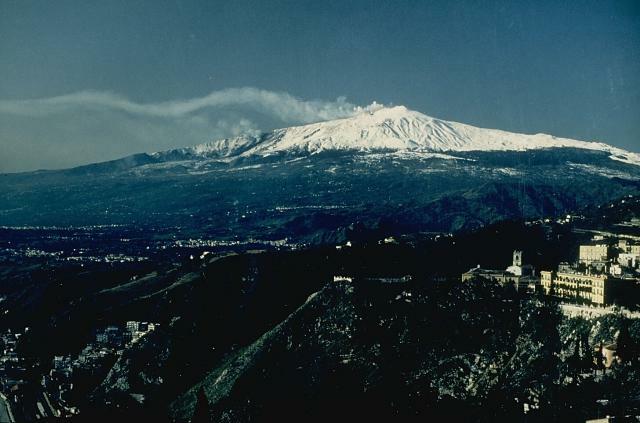 A dense eruption plume drifted E at an altitude slightly higher than 1 km above the summit of Etna. 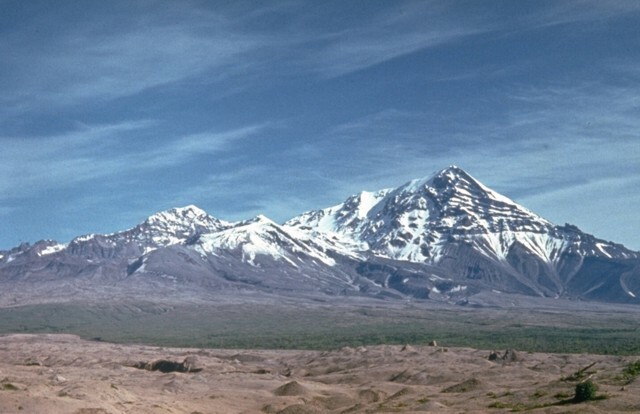 Ash and lapilli fell onto the E flank of the volcano, near an area affected by the tephra fall on the previous day. A few hours later images revealed a new lava flow from VOR traveling W. Eruptive activity continued at least through 0900, though the volcanic tremor amplitude had diminished. 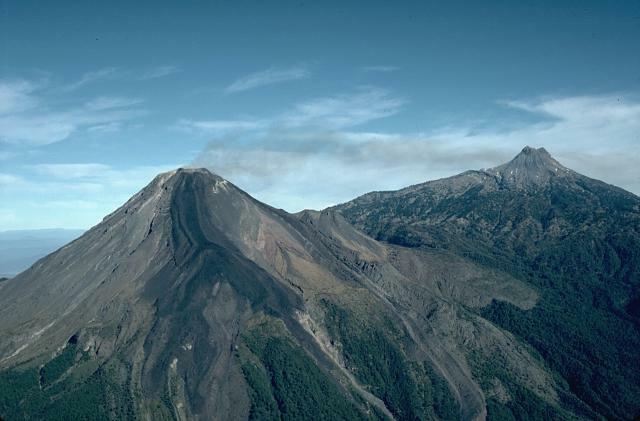 In a special report posted on 22 May, INSIVUMEH reported a high level of activity at Caliente cone, part of Santa María's Santiaguito lava-dome complex. Strong explosions generated dense ash plumes that rose as high as 2.5 km and drifted over 40 km S, SW, and W. Ashfall was reported in Colomba, Coatepeque, San Felipe Retalhuleu, El Nuevo Palmar, Las Marías, Aldea Loma Linda, San Marcos Palajunoj, the ranches of El Faro, La Florida Patzulin, and El Patrocinio, and other areas on the E flank. 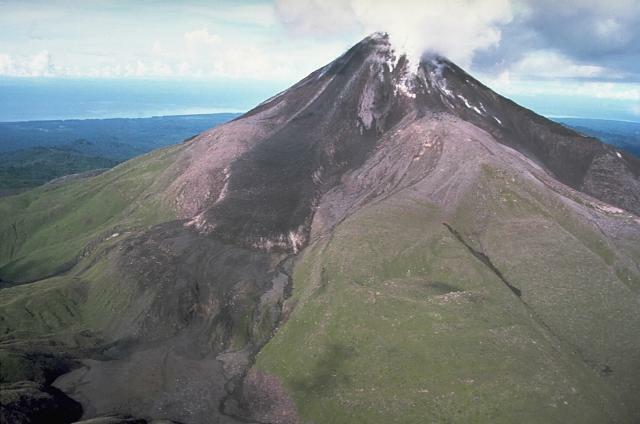 Pyroclastic flows traveled 2 km, down the E, S, and W flanks of Caliente cone and down the Cabello de Ángel and San Isidro drainages. The report also noted that during recent days ballistics were ejected as far as 3 km. 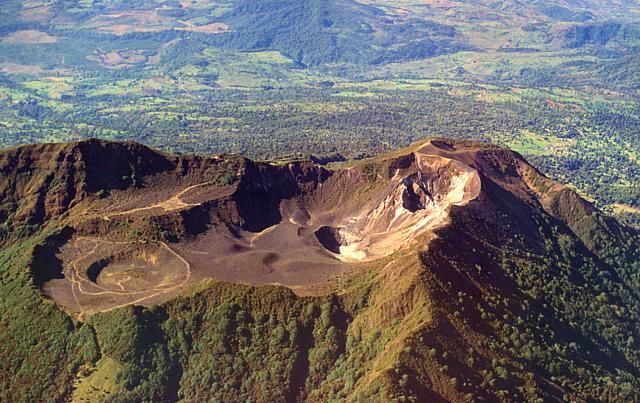 OVSICORI-UNA reported that starting at about 1800 on 17 May the seismic network at Turrialba began recording very-long-period earthquakes, followed by sustained volcanic tremor with significant amplitude that began at 2200. At 1120 on 18 May an ash plume rose 600-700 m above the summit area and drifted SW. At 1430 tremor amplitude decreased, along with the emissions. A gas-and-vapor plume with low ash content rose as high as 300 m and drifted WNW. On 19 May vigorous gas emissions were observed, alternating with ash emissions at 0600, 0938, 1111, and 1405. The plumes rose 300-700 m and drifted S, SW, W, and NW; ashfall was reported in areas of Valle Central, including in Coronado, Guadalupe, and Heredia (38 km W). Tremor increased slightly at 1550 and an ash plume rose 1 km and drifted NNW. On 20 May at 0720 a Strombolian phase began, producing an ash-and-gas plume that rose 3 km and drifted W. The eruptive column collapsed, generating pyroclastic flows that reached the nearby ranches of La Silva and La Picada, Irazu volcano, and the Cráter Central. According to a news article, some airlines have canceled or delayed flights into the Juan Santamaría International Airport (48 km W). Gas-and-ash emissions continued during 21-22 May; plumes rose as high as 600 m above the summit. Villagers reported ashfall in areas of San José (70 km W), Cartago (25 km SW), Alajuela (49 km W), Heredia (38 km W), Puriscal (65 km WSW), and Jaco (100 km SW). During 22-23 May tremor amplitude decreased. Ash plumes rose as high as 1 km and drifted W and SW on 23 May, causing ashfall in areas downwind including Tapezco (Zarcero-Alfaro Ruíz, 70 km WNW), Guácima de Alajuela (55 km WSW), Cartago (25 km SW), Alajuela, Heredia, Barva (39 km W), Finca Lara (17 km W), Finca Laguna (23 km WNW), Grecia, and Naranjo. Seismic tremor amplitude significantly decreased on 24 May, and ash was no longer visible in the emissions. 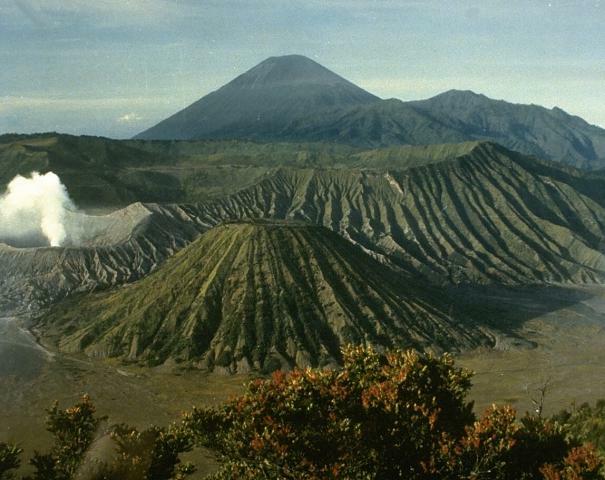 Gas-and-steam plumes rose 500 m above the volcano. 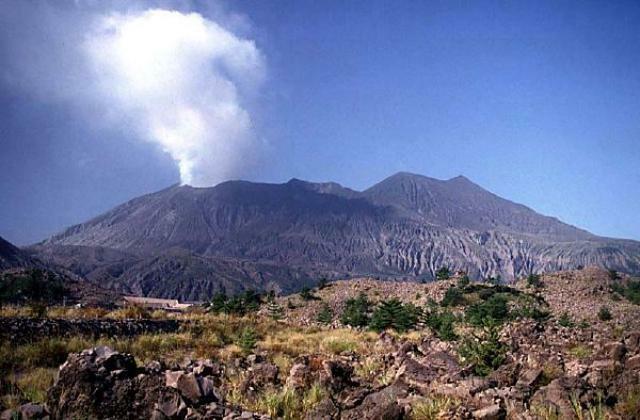 JMA reported that Aira Caldera’s Sakurajima volcano remained vigorously active. During 16-23 May the seismic network detected 15 explosions at Showa Crater, generating ash plumes that rose as high as 3.5 km above the crater rim (on 16 May). 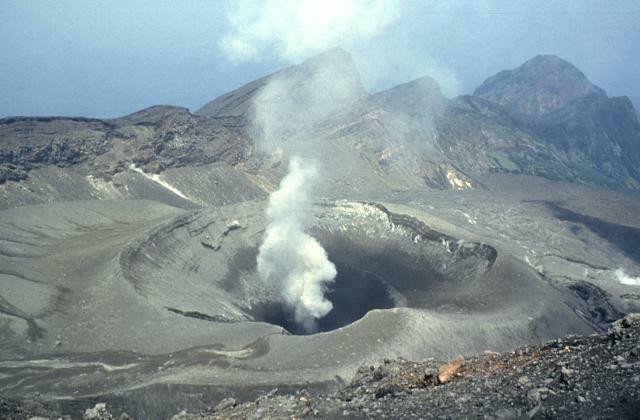 A small-scale explosion occurred at Minamidake summit crater on 18 May. The Alert Level remained at 3 (on a 5-level scale). KVERT reported that moderate activity at Alaid continued during 13-20 May. Satellite images showed an intense thermal anomaly over the volcano during 13-16 May. The Aviation Color Code remained at Orange (the second highest level on a four-color scale). Based on analyses of satellite imagery and model data, the Darwin VAAC reported that on 22 May ash plumes from Bagana rose to an altitude of 2.1 km (7,000 ft) a.s.l. and drifted over 110 km W.
Based on analysis of satellite data, on 18 May AVO reported that a small-volume lava dome had erupted in Cleveland's summit crater during the past several days. The 50-m-diameter dome was similar in size and morphology to the past 10 domes extruded and destroyed since 2011 (the most recent cycle was earlier in May). Weak seismicity detected on 17 May was likely caused by lava extrusion. The Level of Concern Color Code remained at Orange and the Volcano Alert Level remained at Watch. Based on analyses of satellite imagery and wind data, the Darwin VAAC reported that during 18-22 and 24 May ash plumes from Dukono rose to altitudes of 2.1-2.7 km (7,000-9,000 ft) a.s.l. and drifted in multiple directions. 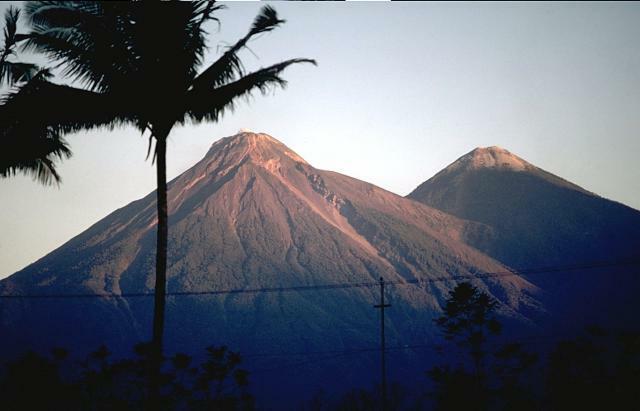 On 19 May CONRED reported that pyroclastic flows not generated by explosions had descended Fuego's flanks during the previous 12 hours. 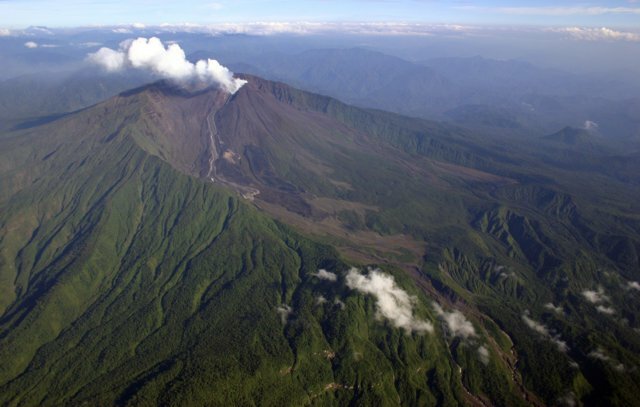 INSIVUMEH reported that during 19-22 May weak-to-moderate explosions generated ahs plumes that rose 450-750 m above the crater and drifted 7 km W, SW, and S. Incandescent material was ejected 100 m high and generated avalanches down the Las Lajas (SE), Trinidad (S), Santa Teresa (W), Ceniza (SSW), and Honda drainages. A 300-m-long lava flow was active in the Las Lajas drainage. CONRED noted that at 1800 on 22 May Fuego began its 10th Strombolian phase for 2016, characterized by a 1.5-km-long lava flow, explosions, and ash plumes that rose 1.3 km above the crater and drifted 15 km W and SW. During 23-24 May explosions produced ash plumes that rose 4.3-4.8 km and drifted 10-15 km WSW. The lava flow was active as far as 1 km. HVO reported that seismicity beneath Kilauea's summit, upper East Rift Zone, and Southwest Rift Zone was at background levels during 18-24 May. The lava lake continued to circulate and eject spatter in the Overlook vent; some rockfall/wall collapse events occurred during 19-20 May. Webcams recorded glow from multiple spatter cones on the Pu'u 'O'o Crater floor and from skylights in the lava tube on the NE flank of the cone. The June 27th NE-trending lava flow continued to be active within 5.8 km NE of Pu'u 'O'o Crater. On 19 May HVO noted that webcams detected about 1 m of uplift of the Pu'u 'O'o Crater floor during the previous few days. During 19-20 May four small rockfalls from the crater wall resulted in disturbance to the lake surface or increased spattering. 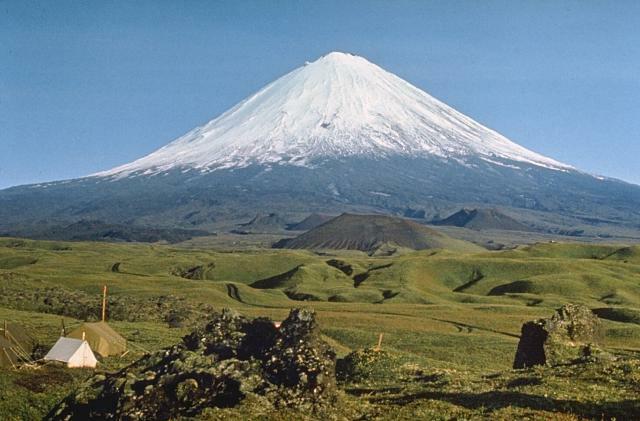 KVERT reported that a Strombolian eruption at Klyuchevskoy continued during 13-20 May. Satellite and video data showed a lava flow effusing on the SE flank, down the Apakhonchich drainage. Satellite images showed an intense thermal anomaly over the volcano, and ash plumes drifting as far as 80 km E and SE on 13 and 16 May. The Aviation Color Code was raised to Orange. INETER reported that during 18-19 May RSAM values at Masaya fluctuated between 300 and 700 units which are low-to-moderate values. The lava lake in Santiago Crater continued to strongly circulate and the vent widened through 24 May. 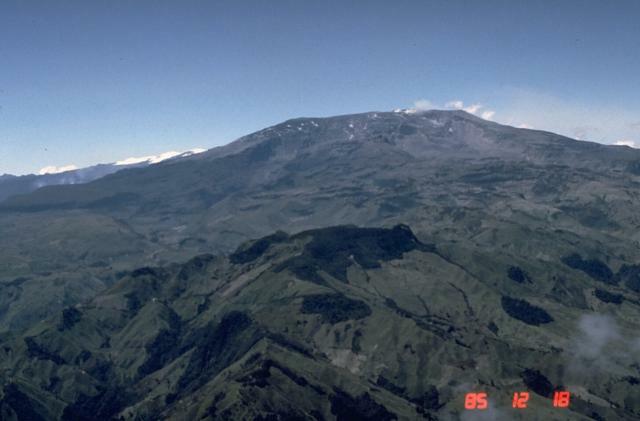 Servicio Geológico Colombiano’s (SGC) Observatorio Vulcanológico y Sismológico de Manizales reported that during 17-23 May seismicity at Nevado del Ruiz was characterized by long-period and very-long-period earthquakes, episodes of continuous tremor, and pulses of volcanic tremor associated with gas-and-ash emissions. Significant amounts of water vapor and gas rose from the crater during the week. Ashfall was reported in La Florida, Manizales, on 20 May. According to a news article an ash emission on 20 May prompted closure of the La Nubia airport in Manizales. Later that day a gas, steam, and ash plume rose 2.5 km and drifted NW and W. Based on information from SGC, the Washington VAAC reported that on 17 May an ash emission rose to an altitude of 7 km (23,000 ft) a.s.l. Cloud cover in the area prevented satellite observations of the activity. The Alert Level remained at III (Yellow; the second lowest level on a four-color scale). 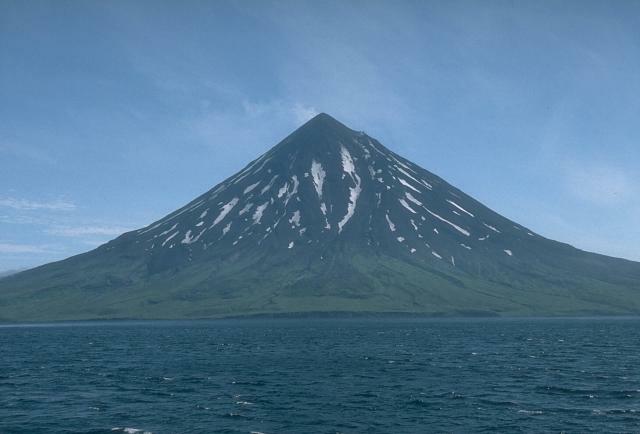 On 20 May AVO reported that the period of volcanic activity at Pavlof that began on 13 May had ended; eruptive activity had not been evident in satellite or seismic data since the low-level ash emissions observed on 17 May. 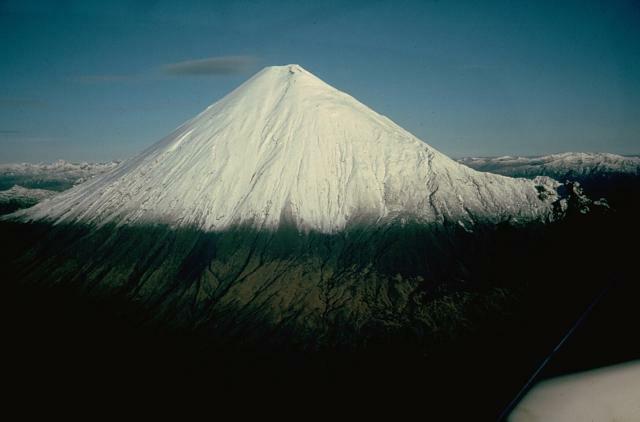 AVO lowered the Aviation Color Code to Yellow and Volcano Alert Level to Advisory, and noted that pauses in eruptive activity of days to weeks were common during eruptive episodes at Pavlof. 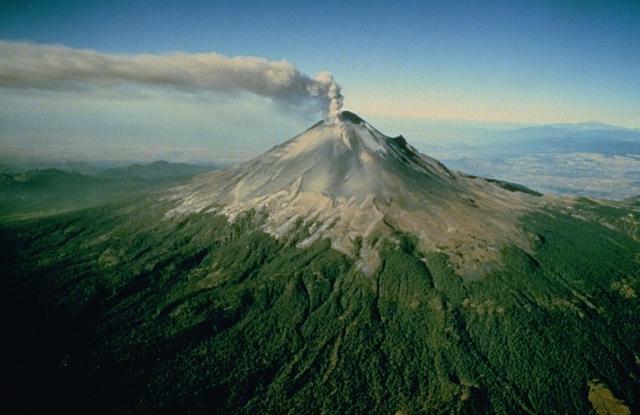 During 18-24 May there were 43-492 daily emissions from Popocatépetl and as many as eight explosions detected daily; some emissions corresponded with increased crater incandescence at night. Periods of low-amplitude harmonic tremor were also detected almost daily. Daily cloud cover prevented visual observations. The Alert Level remained at Yellow, Phase Two. 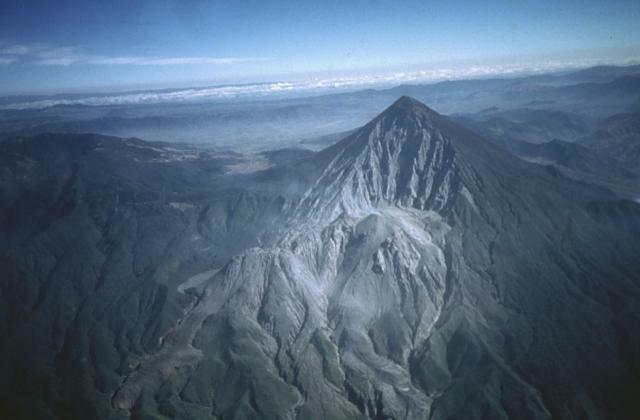 During 18-24 April IG reported a high level of seismic activity including explosions, volcano-tectonic events, long-period earthquakes, harmonic tremor, and signals indicating emissions at Reventador; cloud cover sometimes prevented visual observations. Incandescent blocks rolled as far as 1.5 km down the flanks on most days. On 18 May a pyroclastic flow traveled 1.5 km down the SE flank, and a gas-and-ash plume rose 1.5 km above the crater. A gas-and-ash plume drifted W on 20 May, and on 24 May a pyroclastic flow traveled 1 km down the SE flank. Based on notices from the Guayaquil MWO, the Washington VAAC reported that on 20 May an ash plume from Sangay rose to an altitude of 6.7 km (22,000 ft) a.s.l. 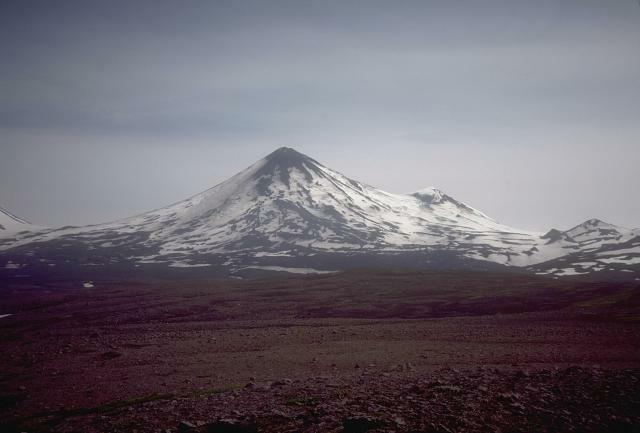 and drifted E.
KVERT reported that during 13-20 May lava-dome extrusion onto Sheveluch’s N flank was accompanied by strong fumarolic activity, dome incandescence, ash explosions, and hot avalanches. Satellite images showed an intense daily thermal anomaly over the dome. The Aviation Color Code remained at Orange. Based on satellite images and information from PVMBG, the Darwin VAAC reported that during 18, 21-22, and 24 May ash plumes from Sinabung rose to altitudes of 3.6-5.5 km (12,000-18,000 ft) a.s.l. 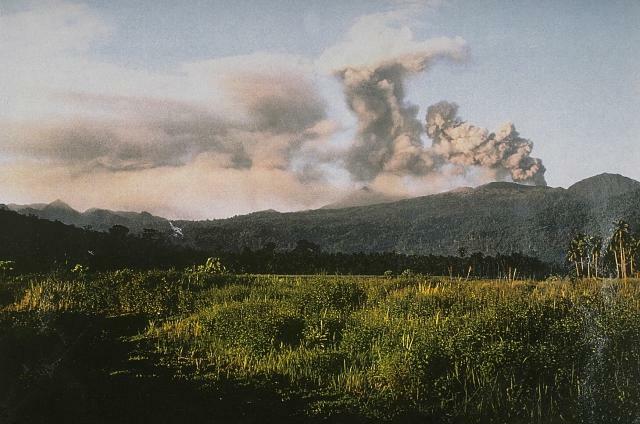 and drifted S and E. BNPB reported that pyroclastic flow descended the flanks at 1648 on 21 May, killing six people and critically injuring three more. 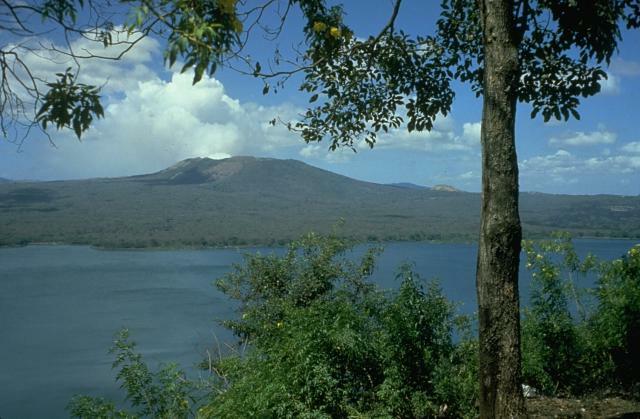 The victims were gardening in the village of Gamber, 4 km SE from the summit crater, in the restricted zone. 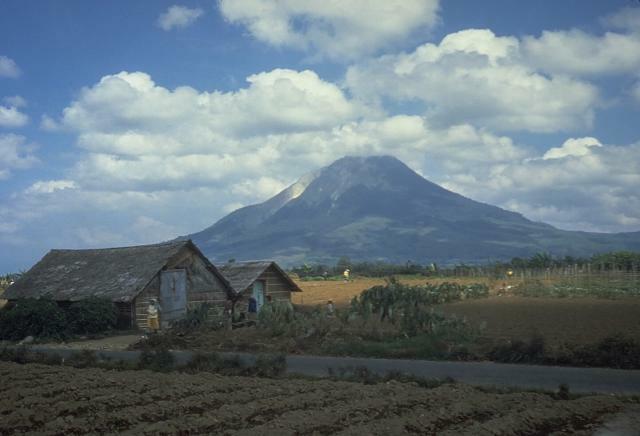 The report noted that activity at Sinabung remained high; four pyroclastic flows descended the flanks on 21 May, and ash plumes rose as high as 3 km. Based on JMA notices, the Tokyo VAAC reported that on 18 May an explosion at Suwanosejima generated an ash plume that rose to an altitude of 1.8 km (6,000 ft) a.s.l. and drifted W.